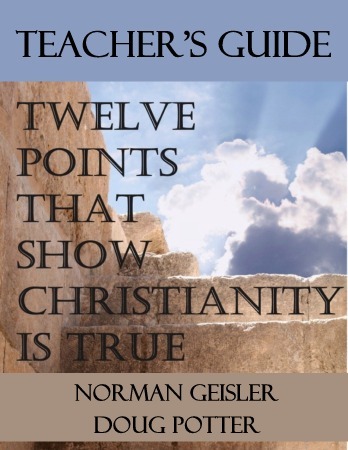 Teachers of Dr. Geisler’s twelve-point apologetic method can use this teacher’s guide with their students in conjunction with The Twelve Points that Show Christianity is True book. This guide has helpful color coding, charts, summaries, information sheets, questions for students to answer, list of key concepts and terms to learn, additional suggestions for learning activities, tests, and answer keys all geared towards mastering the twelve points. fine. does this need to go to NGIM?